When most people think of Shevat, they think of Tu b’Shevat, the “new year” of the trees. Tu b’Shevat is one of the four new years in the Jewish religion. What began thousands of years ago as a tax day on fruit trees, has grown into the Jewish arbor day and/or a spiritual opportunity to explore new growth and our connection to the environment. Like so many of our holidays there are so many layers, so Tu b’Shevat can offer an amazing array of in-roads to exploring Jewish practice. It’s no wonder that Jews love Tu b’Shevat, after all we call the Torah the “tree of life.” In ancient Israel we even planted trees when children were born to commemorate their birth and then these trees were used as the chuppah poles at their weddings. That’s just one of many amazing tree-based traditions in Judaism! If you want to plant a tree for Tu b’Shevat, there are lots of organizations that you can donate to that will help you with that, since it’s a lousy time of year to actually plant trees in most parts of the world. If this is what you are looking for, then check out Casey Trees and Jewish National Fund. I’m sure there are tons of other great organizations, and I hope you’ll share your favorite in the comments. 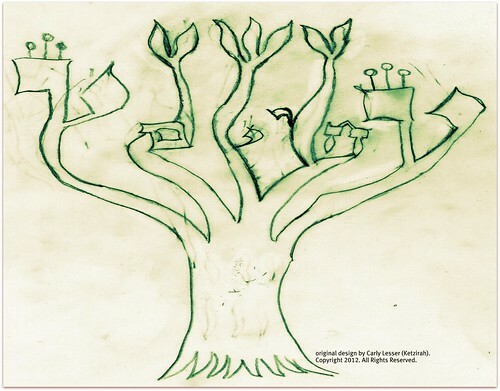 If you are a more DIY kind of person, check out this Tu B’Shevat Seder Outline, from Kolel. It gives you a bit of a mix and match set up that allows you to easily create your own Tu B’Shevat seder. I learned about the tradition of reciting the fifteen “Psalms of Ascent” (120-134) during the first fifteen days of Shevat from my teacher, RK’Jill Hammer. She has taken this practice further by associating a specific type of tree with each psalm. Since the psalms have become a big part of my daily spiritual practices right now, I’m very excited to explore this concept this year. You could even create prayer trees by writing or printing out pieces of the psalms of ascent and tying them to trees in your yard. Imagine if you write the psalms on pieces of ribbon or fabric, how pretty the tree would look! You could leave the fabric up just during Shevat, or if you use unbleached cotton or muslin, you could even just leave it to disintegrate naturally over time. Whatever you do, take some time to appreciate Judaism’s long and complicated history with trees. You might even want to take time to reflect on your own relationship with trees and nature. No matter where you live, take some time to appreciate these amazing partners in life. Without trees, we couldn’t breath, have paper, firewood, and a million other things! Our Kohenet friend and fearless OneShul Shabbat/Rosh Chodesh leader Ketzirah has just published her first book, and we want the world to know about it! A beautiful collection of poems, stories, and playful drawings, Ruby Red Seeds is a must have for your Jewish book collection. Prepare to be inspired and blessed. You can check out all of Ketzirah’s work in the links below. Not familiar with Ketzirah? Check out her inspiring prayer services from the OneShul archive. In thinking about Kislev, I went right to the dreidel and the Hanukkiah. I decided that if I had to pick one, it’s the Hanukkiah (but I may explore the other dreidels later in the month!) The Hanukkiah is the nine-branched menorah that we light on Hanukkah. Even though we generally just call it a menorah, not all menorahs are for Hanukkah! The menorah, which is an ancient symbol of the Jewish people is actually seven branched. If the menorah is considered “the most central role of all the sacred vessels, for it is the symbol of light,” and a symbol of spiritual illumination — then it’s safe to assume that this is also the role the Hanukkiah plays. Hanukkah is a strange holiday because it’s not only post-biblical, but also two holidays smooshed together. I guess we have a lot of holidays that are two smooshed together, though. Most commonly Hanukkah is the holiday that celebrates the victory of the Maccabbees over the Greeks, and the “miracle of the oil.” It’s also a Winter Solstice (Tekufat Tevet) holiday, that acknowledges the darkness of the year and returning of the light. That’s actually found in ancient midrash, it’s not just some modern “new agey” thing. It’s even one of the stories I included in the Hanukkah Haggadah! The lighting of the Hanukkah menorah offers wonderful opportunities for spiritual refreshment and renewal. This year, toss away the annual debates over whether or not Hanukkah is important or just a reaction to Christmas. Don’t worry about the ethics of celebrating the victory in a war (and that the Maccabees were total zealots, who probably would have killed many of us too…). Embrace our own holiday of lights at its root level — light. What do you want to light up? What areas of your life, your heart, your soul need light? Dedicate your entire Hanukkiah to bringing light into an area in your life. Let each candle represent a step along the way, and watch the light grow over the eight days! Take this time to rededicate yourself — to whatever you need to rededicate yourself. Bring back the light in your own life, and rejoice in our very special holiday of lights! Ketzirah is a Kohenet, Celebrant, and Artist. Her mission is to help others experience the best life possible by connecting with the Divine presence, physical resources, creative expression, and communal ritual experience. Elul begins at sundown August 30th, 2011 and ends sundown on September 29th, 2011. 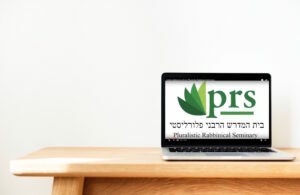 Be sure to join us online at OneShul.org for Rosh Chodesh Services, at 7:30pm on August 30th, 2011. Tammuz began at sundown on July 2, 2011 and ends sundown on July 31, 2011. Reuben has three very stand-out memorable moments in the Torah. Possibly more, but three that jump right to mind for me. First, is the the scene with mandrakes in Gen 30 where Rachel begs Leah to give her the mandrakes (דוּדָאִים) Reuben has harvested, with this Leah “buys” another night with Jacob and conceives Issachar. The second is Reuben’s role in the story of Joseph, where in Genesis 37 he suggests the brothers shouldn’t kill Joseph — just throw him into a pit and say he died. Finally, Rebuen seems to have had an affair with Bilhah, one of his father’s wives. Needless to say this doesn’t go over so well with Jacob. The question of Reuben is “what do you see.” When you look, do you see? I think Reuben, who was the oldest, but is not then or historically the leader of the tribes had a failure of vision. It got me thinking about the concept of “perceptual blindness.” I had just heard a story about a police officer who ran right past someone being beaten and claimed he didn’t see it. As the summer heats up, be sure you don’t let the heat cloud your vision. The Rosh Chodesh calendar is a project of Ketzirah at PeelAPom.